The Next Generation Science Standards require a very specific kind of resources that allow students to achieve mastery of the standards. Mastery means that students have developed skills and knowledge that they can take what they have learned and apply it to new scenarios and contexts, which allows them to tackle any problem or question, rather than just predetermined ones. Because of this shift, it is important to understand that not all curriculum and resources create mastery readiness because not all resources prepare students to think critically and develop transferable skills. 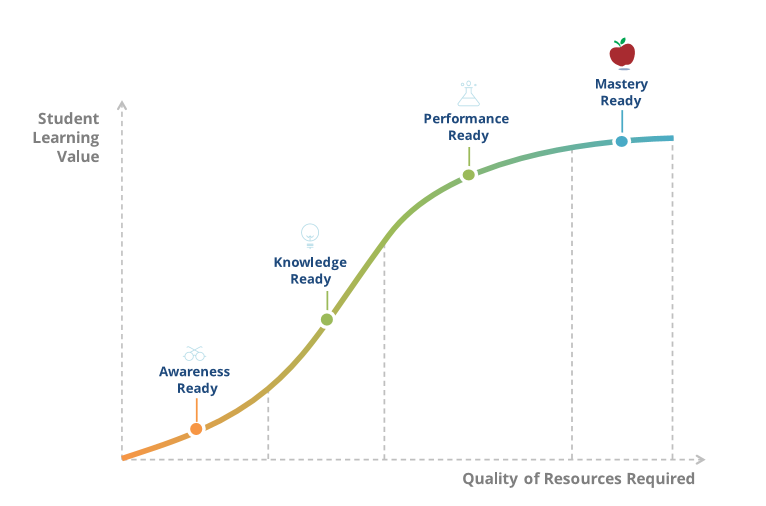 In general, curriculum and resources can be categorized into four levels relating to their ability to create "readiness."